Virkščiai airfield (Virkščiai aerodromas) was an airfield 64 kilometers north-northwest of Vilnius. The airfield was built by order of the Lithuanian SSR (a state within the Soviet Union) Council of Ministers in the 1975-1985 timeframe. It was used for agricultural activities by state-run Aeroflot. It consisted of a small runway and a platform to the north of the runway. After Lithuanian independence the airfield was abandoned. 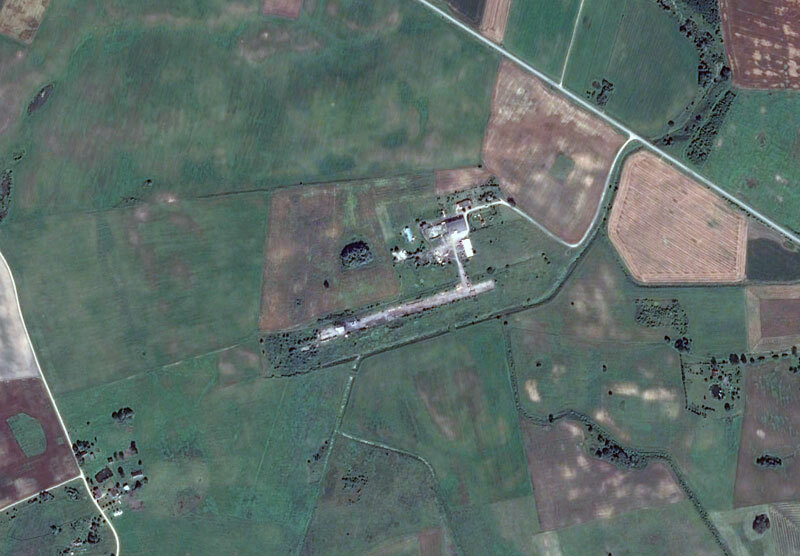 Aerial photography of the airfield (Google Earth) shows the airfield was already beyond any reasonable shape for years in 2017. Buildings were raised and the runway is partially covered with rubble, making it unusable. The airfield is closed to all traffic.